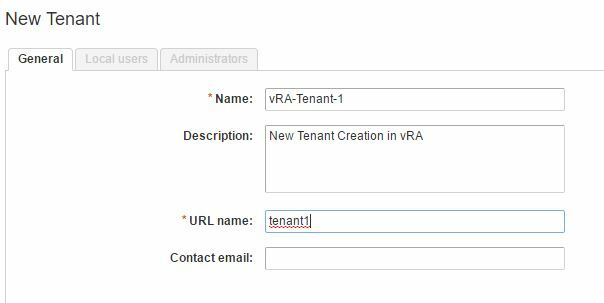 After the initial installation of vRealize Automation, you will need to configure the Tenants. 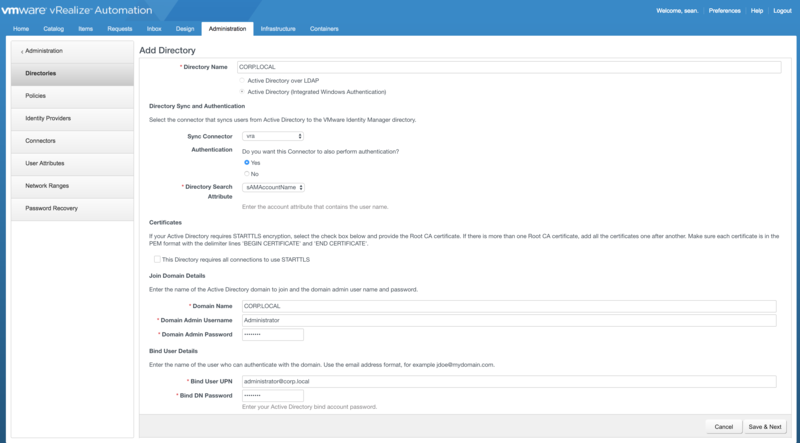 Log into the vRA portal with the administrator account, and navigate to Administration -> Tenants. The default tenant is vSphere.local, which I will be using for my configuration. However, if you want to create a new tenant, click the New button. 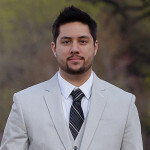 Provide a Name, Description, URL name, and contact email (optional). Click Submit and Next when complete. Next, configure the Local Users for the tenant. Provide a Name, email, user name, and password. Ensure to create local users that will be Tenant Administrators, and IaaS administrators. I will be configuring my account as both. 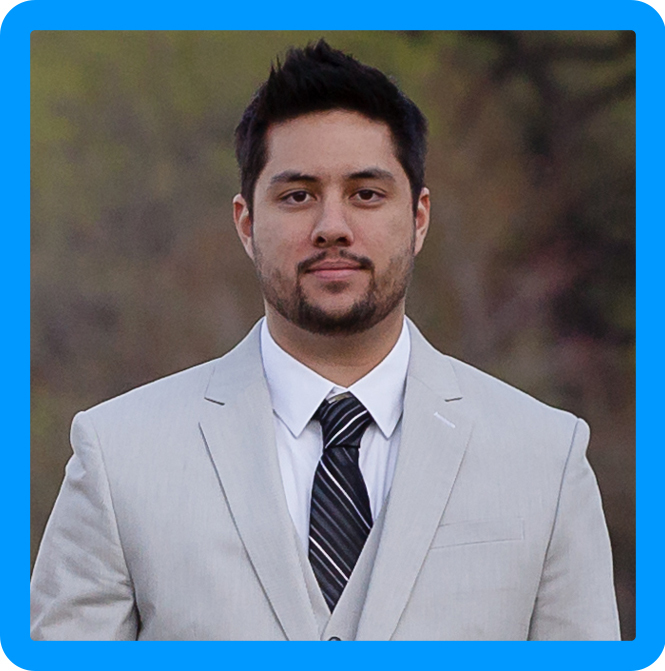 Search for your user, and add to both Tenant and IaaS administrators. Click Finish. Finally, log out of vRA, and log in with the newly created administrator. Once you are logged in as the tenant administrator, it’s possible to add Active Directory Authentication. Navigate to Administration -> Directory Management -> Directories. Click on Add Directory. Provide the Directory Name, Domain Name, Administrator and Password, as well as the Binded user. On the next few screens select the domains (if there are multiple) and take defaults for the user attributes unless you want to customize. You will also be asked for the groups that you would like to sync. Ensure you provide the DNs for the groups. I apologize I forgot to get screenshots during my deployment of this section and I can’t recreate due to dependency errors. Once complete, confirm that the domain is synced successfully. Navigate to Administration -> Users and Groups -> Directory Users and Groups and search for the user or group that you would like to have permissions. Select the user to proceed to the next screen. Select the roles to grant to the user. For a full list of roles, click here. 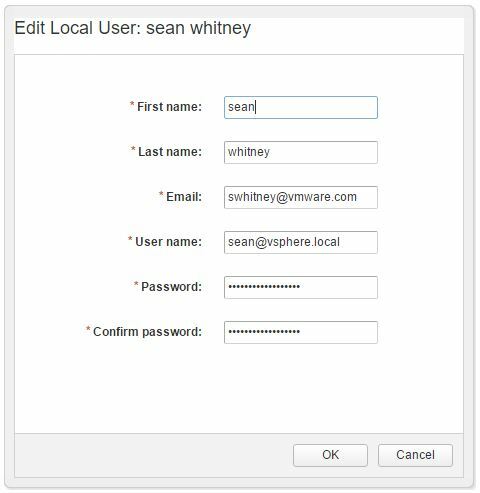 Finally, log back into vRA with the Administrator account, and add the new users to Tenant and IaaS administrators. 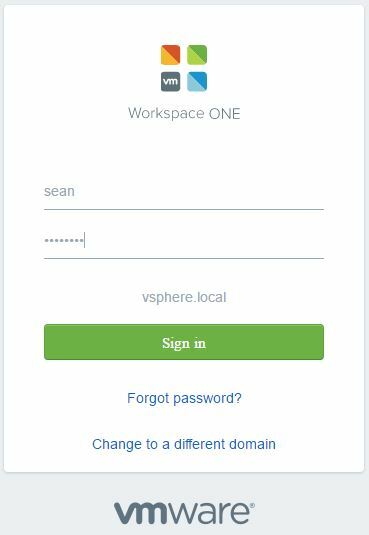 From my posts forward, I will be using my local user I created in vRealize Automation, but you can continue through the steps using the AD users or groups. In the next article, we will add vCenter Server as an Endpoint.